Learning to trust can bring a lifetime of joy. Stronger is the 3.5 installment in the Breaking Free series. Stronger goes back into Dex and Serge's relationship. I loved that most of this book is written about the past of Dex and Serge. How they met, what kept them from becoming a couple at that first meeting. The baggage they have and how they carried that with them into the relationship. Dex and Serge are the strong ones for their friends, but we got to see them when they weren't, when they were vulnerable and just beginning. I have to say this did bring tears to my eyes, which I loved. 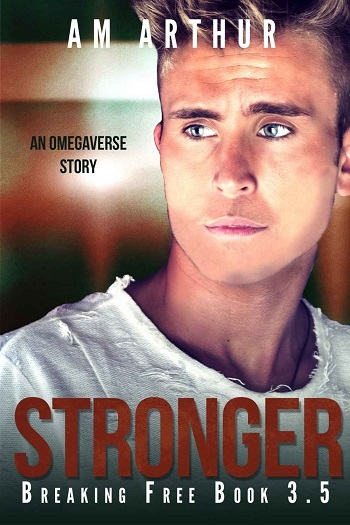 Shannan reviewed her personal copy of Stronger (Breaking Free #3.5) by A.M. Arthur for this post.